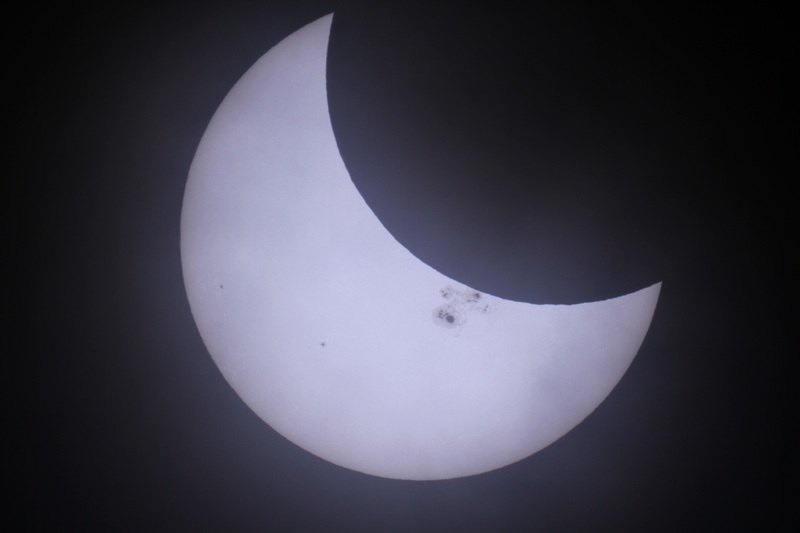 Partial Solar Eclipse viewed from Prince George B.C. taken by Doug Wayland with his Canon EOS 60D camera mounted on a Meade ETX90 telescope at 2:40 pm on Thursday, October 23, 2014. This entry was posted in Astro Photos of the Month on October 24, 2014 by glen_h.